Click on the type of merchant account or credit card solution that you are looking for. Free Rate Review For Existing Merchant Accounts! When was the last time you had a rate review performed on your existing merchant account? Our free merchant account rate review can tell you if you are getting the best processing rates available. GlowHost’s merchant account solution will meet or beat your existing processing rates, guaranteed. With free setup and free authorize.net, plus 250 free gateway transactions per month, it is certainly worth checking out. Fill out the short form to get started right now. Merchant accounts geared for general e-commerce web sites selling tangible products or even electronic goods. If you are selling products online from your brick and mortar storefront, these merchant accounts are for you. Features FREE Authorize.net account setup with 250 free transactions per month, virtual terminal, FREE merchant account setup, and much, much more. Merchant accounts geared for those who sell products “on the road.” These merchant accounts feature a portable card swipe reader. All you need is a laptop and Internet connection. These accounts are great for those who attend trade shows, flea-markets, art shows, or any other similar venue where a card will be present, with the added BONUS of the Authorize.net virtual terminal, which gives you the ability to process payments directly from their web site virtual terminal. It’s like having two merchant accounts in one! Please Note: that this is not a solution for web site processing. This account is only for “swiped” transactions and “keyed in” phone order processing. Accept credit cards instantly and securely using your iPhone or iPod Touch! The iPhone Virtual Terminal is an ideal and inexpensive solution for photographers, contractors, and individuals who need to process credit cards on the go, with their iPhone or iPod Touch. Increase your revenue stream and set yourself apart from the competition! The iPhone Virtual Terminal is perfect for any business that needs to process payments on the go! Compatible with iPhone 3G or iPod Touch, The iPhone Virtual Terminal is designed to process credit cards securely with your merchant account and Authorize.net payment gateway over the 3G or WiFi Network. The iPhone Virtual terminal gives you the freedom to process online or on the go. You can resell any of the above merchant accounts on your own web site. 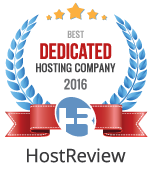 This is a perfect up-sell for our web hosting resellers or any other B2B business. When you sign up your own customers who need a merchant account, you get an up-front bonus, plus a recurring percentage of the sales that are generated on each of your customer’s web site merchant accounts, for as long as your customers maintain their merchant accounts. Businesses very rarely change their merchant processor once they have a solution in place, so the recurring income stream can last for the lifetime of their business. The best part is that it costs you absolutely nothing to enroll.